"I just wanted to take a moment and thank Vandana for all the extra work she had to do to get this house closed. We really appreciate the due diligence and the extra mile she had to take to get us this wonderful house. This will not have been possible without knowing that she will be there now and later for us. This gives us the confidence to expand further. And as an investor, this is my first experience working with Berkshire and must say she represented both her firm and her broker in very good light. I am sure they must be proud of her professionalism and strong ability to close deals through hard work. 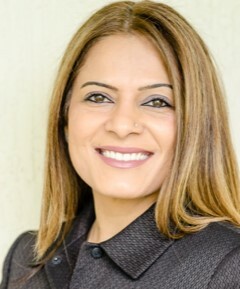 Thanks again Vandana for providing such wonderful buying experience"
"You have been the best Realtor we have had. Very willing to help and so polite. Thanks again for everything - Love"
"Thanks to Vee, we found the perfect Home. She made the process smooth and efficient. After spending time with her, she was able to think on our behalf and knew exactly what we were looking for in a new home"
"Just got a phone call from the Title company regarding the handoff of the keys for our new home- super excited! This was our first “virtual” closing experience and it went so smooth – all thanks to Vandana! We truly appreciate her guidance in guiding us to get the best interest rate, pulling all the paperwork together, explaining us the various costs in detail and most importantly – finding us such a great place! - Sunanda S. & Vivek K.
"Vee was great to work with from beginning to end. She kept us up to date during the whole process and answered all our questions quickly. We could not have found a better person to help us with our relocation to Florida. Would highly recommend her to anyone moving into the area"
"Vandana was great! I called her about a property that was already off the market and she went out of her way to find me the perfect home for my family! I would recommend her for all your purchasing or renting needs"